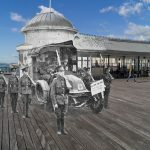 Kieron Pelling has created a series of images especially for the East Sussex World War 1 website which overlay original photos taken during the period 1914 to 1919 with contemporary photos taken in the same place. The latest in this wonderful series, called ‘Then and Now’, can be seen in the gallery below. 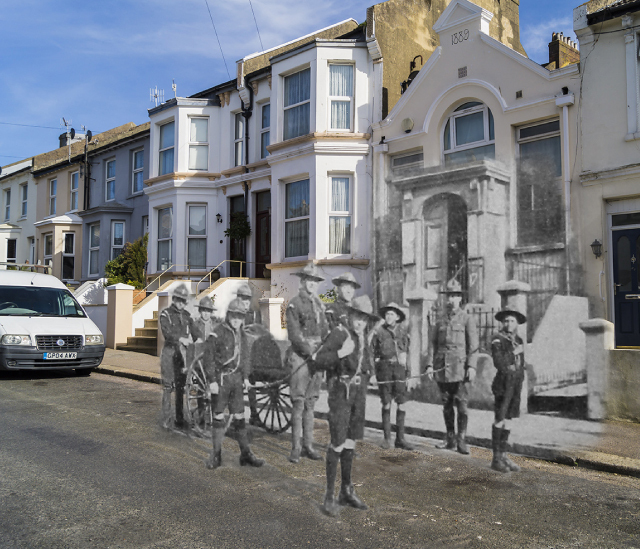 See more of our ‘Then and Now’ series, and see more of Kieron’s beautiful work on his website, Compelling Photography. Do you have a photo we could add to the series? 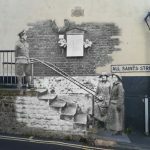 Do you have a photograph taken between 1914 and 1919 that shows how East Sussex was affected by the war? Could we use it to create a ‘Now and Then’ image? More about sending us an image at bottom of the page. 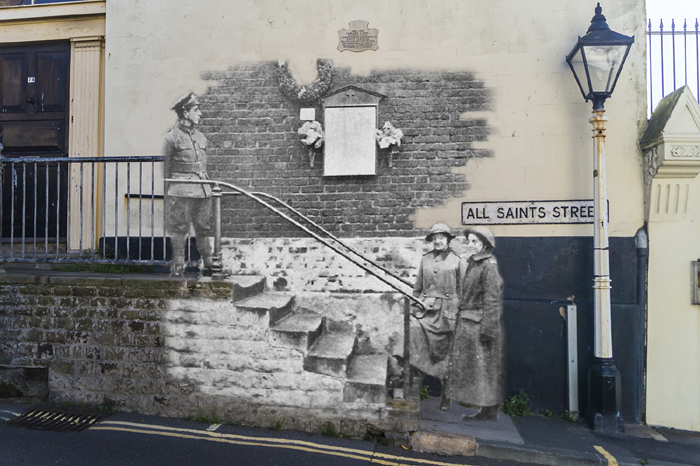 The photo was taken in St Georges Road, Hastings. Compelling Photography is a website that shows Kieron Pelling’s photography. 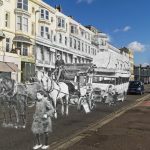 Most of his photos are based in or around Hastings and East Sussex, but also from his travels overseas. 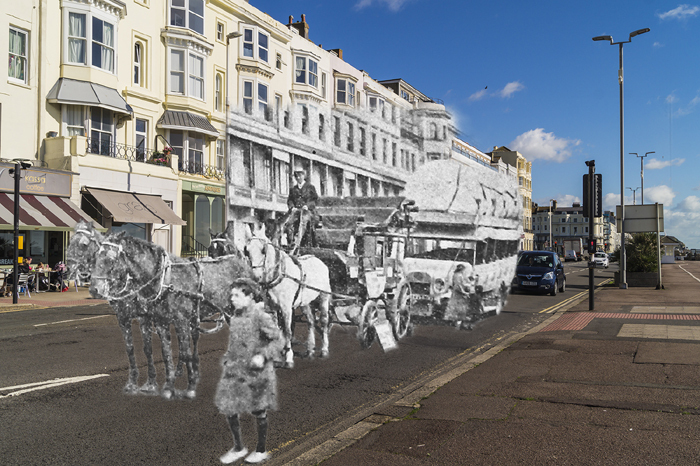 Kieron’s interest in the history behind places and people led him to start creating the Then and Now series of images. Shortly after Hastings Pier burnt down, he discovered the work of Russian photographer Sergey Larenkov. Larenkov’s ‘Link to the Past’ images showed how powerful the technique can be. 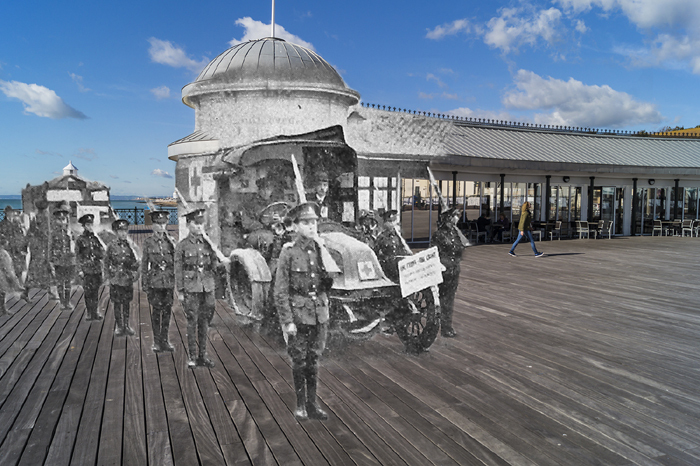 Kieron’s first Now and Then image was one of Hastings Pier; half burnt and half in its prime. 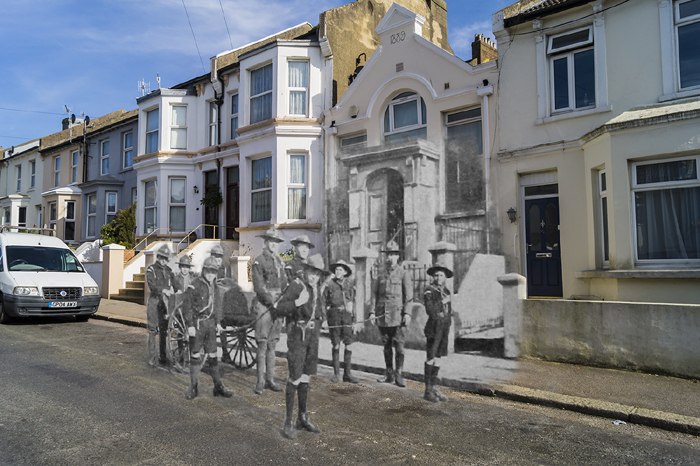 Since then Kieron has created many such images, including a series specially for the East Sussex World War 1 website. 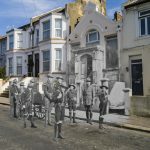 Do you have a photograph taken between 1914 and 1919 that shows how East Sussex was affected by the war? Would it work for a ‘Now and Then’ image? Send it to us and it could be chosen to create one. 1. Is there something in the old photograph that is still present today? A building, landmark or road that is still recognisable ties the modern scene in with the old. 2. Can the modern day photographer stand where the original photographer stood? 100 years has passed, so trees have grown and buildings have been demolished. 3. The photographer will not usually be able to access buildings to take photographs from height. 4. Is the environment safe for the modern day photographer? For instance traffic was much different in 1914! If you think you have an appropriate image, please send a high resolution scan in jpeg format (at least 300dpi*) with a description of the image and information about the location. *This resolution is required so that the image is large enough to place over a modern day jpeg and retain good detail.